Other Details: Request from Plymouth City council to operate evening buses for the British Fireworks Championships on Tuesday 16th and Wednesday 17th August 2016 and at similar periods each year. Other Details: Plymouth City Council request to operate evening journeys for the British Fireworks Championships on Tuesday 16 & Wednesday 17th August 2016 and at similar period each year. 16 / 33 – Will now serve Mayflower Street and Western Approach. Will drop off on Derrys Cross Roundabout before heading to stop A5 this has been done to congestion at Drakes Circus. Minor timetable amendments to evening trips to provide better point to point running times. Revised evening trips due to interworking service issues, with newer buses arriving soon for this route. Inbound services from Stoke will now serve Western Approach rather than Drakes Circus due to congestion, dropping off on Derry Cross Roundabout before serving stop A3 to head back to Torpoint. Outbound journeys departing Royal Parade will follow the existing route via Drakes Circus. Revised evening Journeys to serve Torpoint Ferry and Royal William Yard, replacing the current 34B. Revised morning running times to improve connections with Torpoint Services at Pottery Quay. Last trip Monday – Saturday extended from Ham Green to Milehouse due to passenger demand. This will replace the current service 50 section between City Centre to Ernesettle only. This has been done so that we can increase the frequency in the Ernesettle area. Newer buses will be arriving for this route soon. 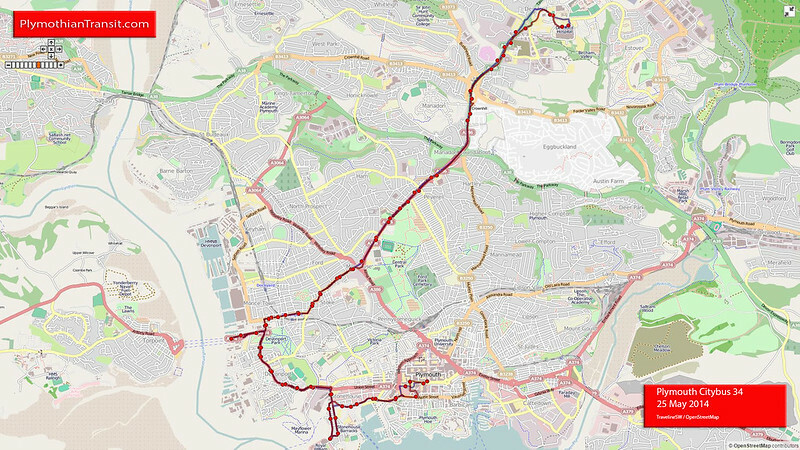 44 –To improve reliability the service will now serve Whitleigh Green, before doing a clockwise loop of Taunton Avenue and then back to serve Whitleigh Green before returning into the City. 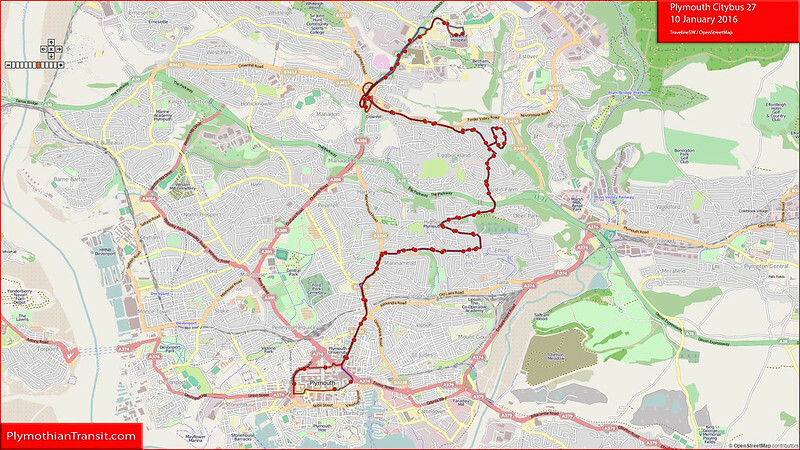 45/46 – 45 will now be Plymouth to Tavistock and the 46 will be Tavistock to Okehampton. The services will link, providing a service between Tavistock and Okehampton. There will be no timetable changes as a result. Derriford – Estover - City Centre remains the same, but now links with the current 51/51A giving Crownhill a link to Asda at Estover. 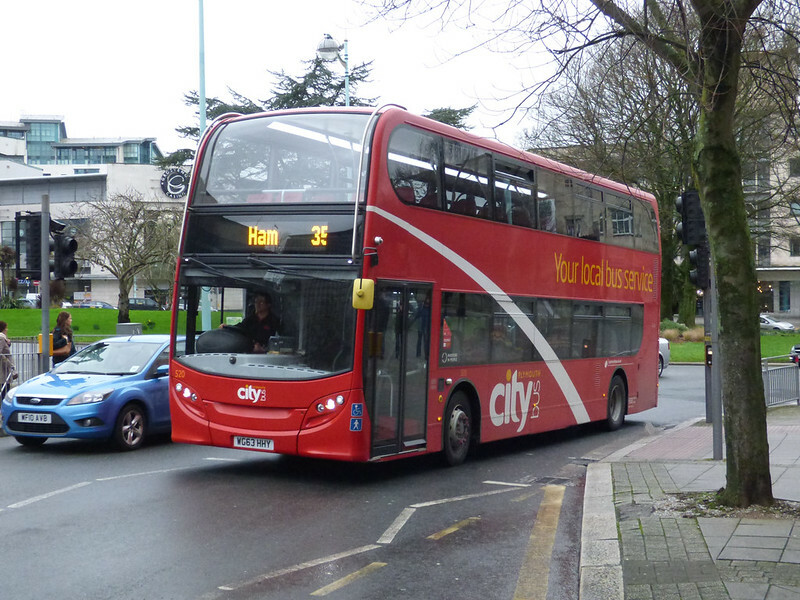 Giving a new Derriford to Derriford / Holly Park Yellowflash service 50. New Monday to Saturday service. This will provide early morning and late night journeys throughout the City. These have been created to transport shift workers in the City, including Citybus staff. The X53 change from 21 August is simply to run four late night journeys at 2230 2300 2330 2400 from West Bay to Bridport at the end of Bridport Carnival, and run via South Street instead of Sea Road in Bridport.